Appearing in the Colorado New Play Festival as music director and guitarist in a workshop of the play/musical adaptation of Tender Mercies. Come by June 10-16 for open rehearsals and performances in Steamboat Springs, Colorado! 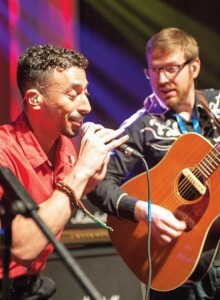 Performing with Kareem Salama in Toronto, Canada for the FastInThe6 open air festival concert. 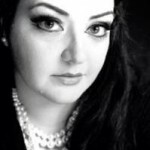 Come by if you are in the Toronto area! Sharing the bill with comedian Mo Amer and Canadian country singer Kelsi Mayne. Also: performing, conducting, and musical contributor for an original musical of Sherlock Holmes in Houston’s Western Academy! Appearing next month at the Great Texas BBQ Festival with Craig Kinsey. 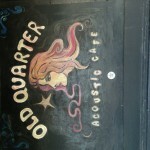 Come on by for great tunes and food. 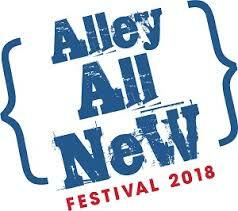 Back at the Alley Theatre for the Alley All New Festival to workshop workshop of the play/musical adaptation of Tender Mercies. Back with Boomtown Brass Band at 8th Wonder Brewery! 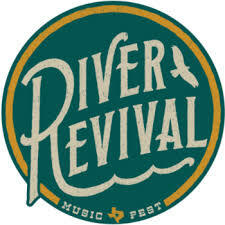 Reprising performance at the inimitable River Revival Festival! Deets at the website. Also appearing Sept 16th at Grappino’s, jazz duo. 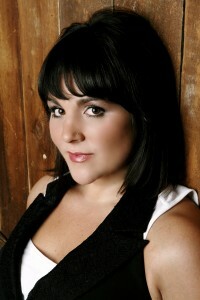 Performing June 4th with Swing Rendezvous at Table 57. 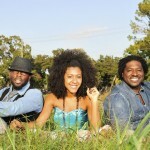 The brilliant Danielle Reich Seale on vocals, Mark Seale on fiddle, and Morris Moon on rhythm. 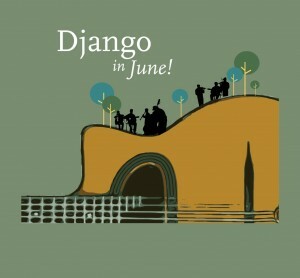 The 2nd-3rd week of June I’ll be at Django In June in Smith College (Massachusetts). Lots of plucking on my Viteri D-Hole guitar. 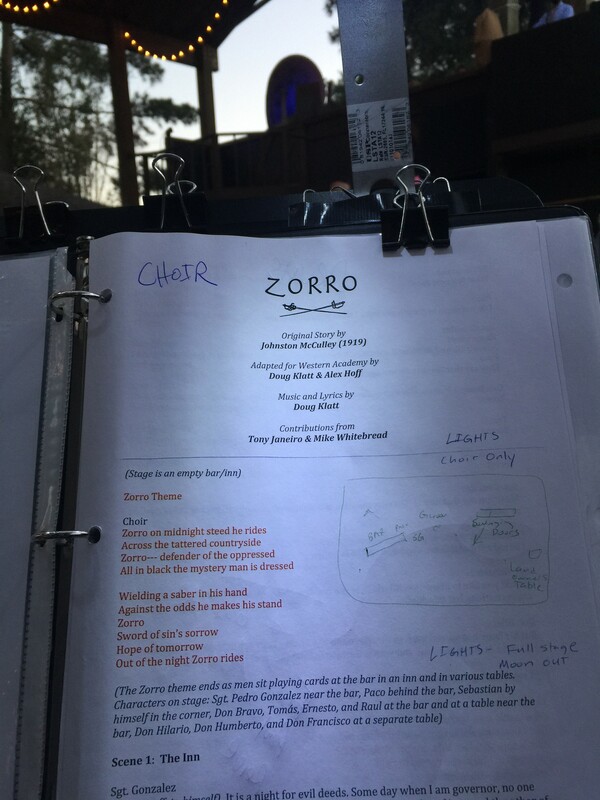 May 12th I’ll be performing guitar and percussion in a production of ‘Zorro‘ with an all original script and all original music at Western Academy. 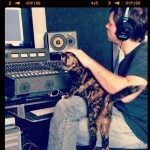 The multi-talented Josh Applebee is at the helm for sound and mixing. Here’s a recently surfaced interview from a previous tour to Malaysia from Penang Monthly. 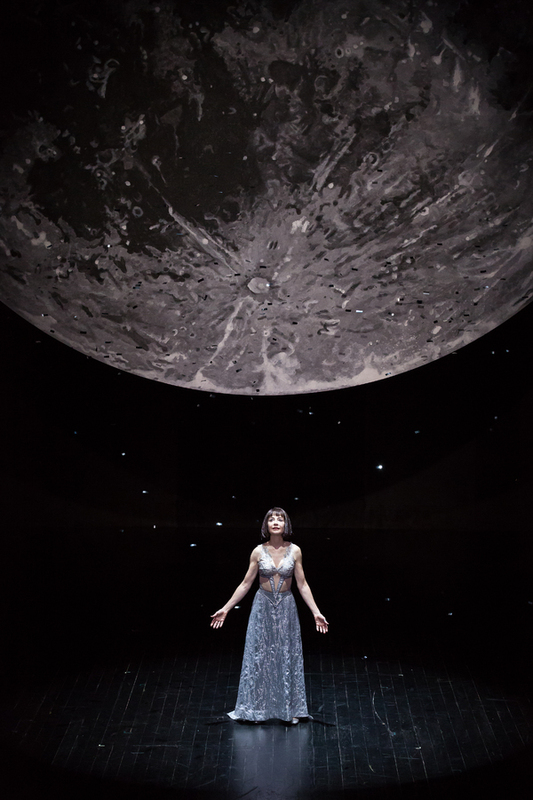 After 30+ performances and previews, A Midsummer Night’s Dream closes this month. Thanks to everyone at the Alley, and to Ryan Chavez – the other musician in the production and my partner in crime. 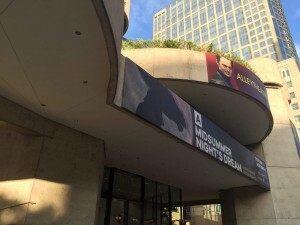 A Midsummer Night’s Dream Opens! Rehearsal’s begin for the Alley Theatre Production of A Midsummer Night’s Dream with original score by Gregg Coffin. I’ll be playing just about every instrument I own. 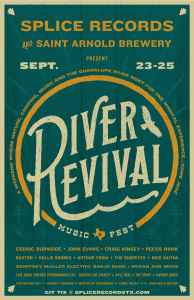 I’ll be playing September 24th River Revival Music Festival in New Braunfels, TX. 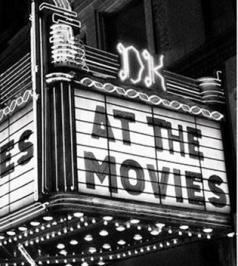 August 13th Playing at The Majestic Metro – a restored 1920′s theatre that used to play silent films. 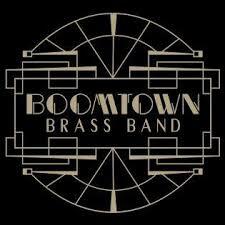 July 17th Playing with Boomtown Brass Band at MKT BAR. 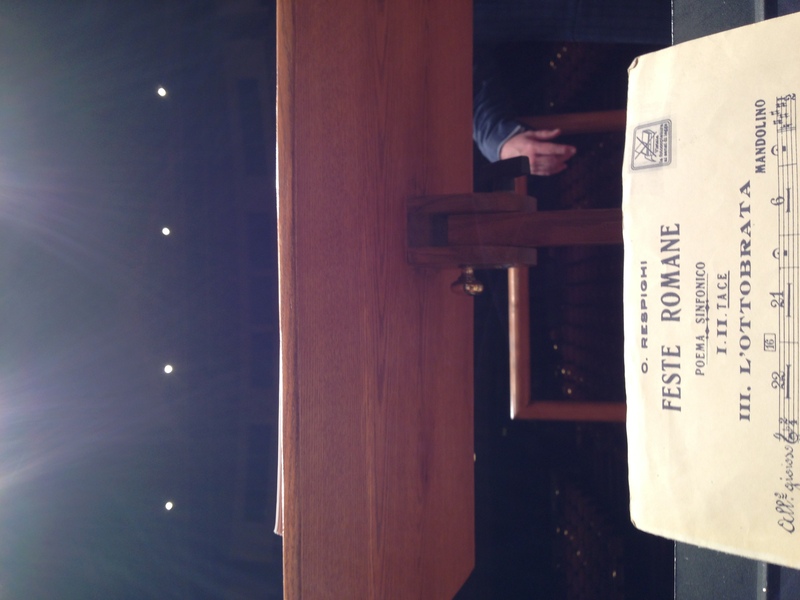 June 11th Performing on mandolin for Feste Romane with the Texas Music Festival. Trying out a new Collins mandolin! 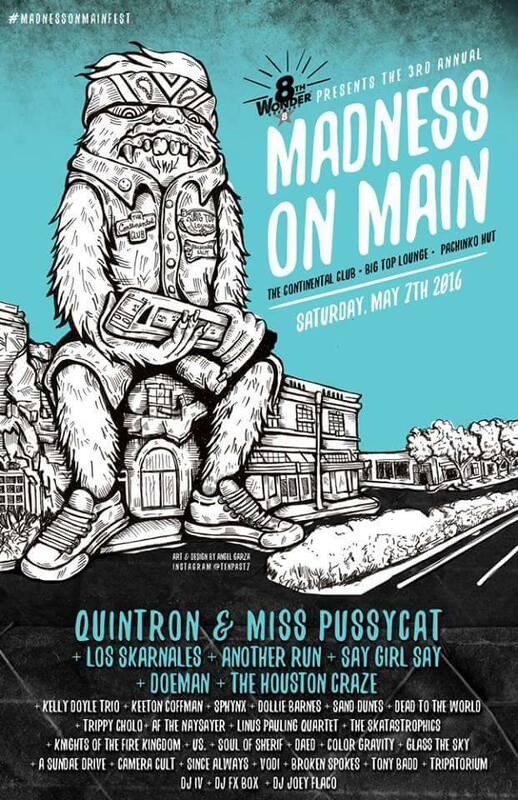 The Houston Craze (aka the Krays) return for the Madness on Main Festival, 10PM on the Continental Club Main Stage! Super high octane show with Craig Kinsey at the brand-new Raven Tower. Climb to the windy stairs and take a look out over the city from the rooftop terrace. 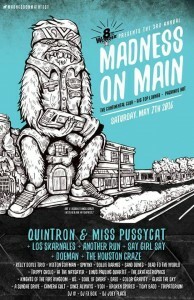 Multi-night performances at SXSW in Austin Texas. Shared the night with co-conspirator Craig Kinsey, Guy Forsyth, Moji Abiola, Chris Whitten, and so, so many other musicians at Hotel St. Cecilia. 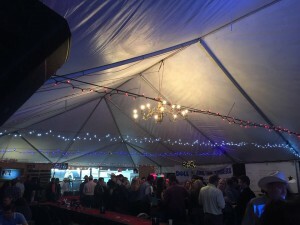 Bill Murray, Led Zeppelin, and Green Day were all spotted at the venue along with a bevvy of Houstonians. 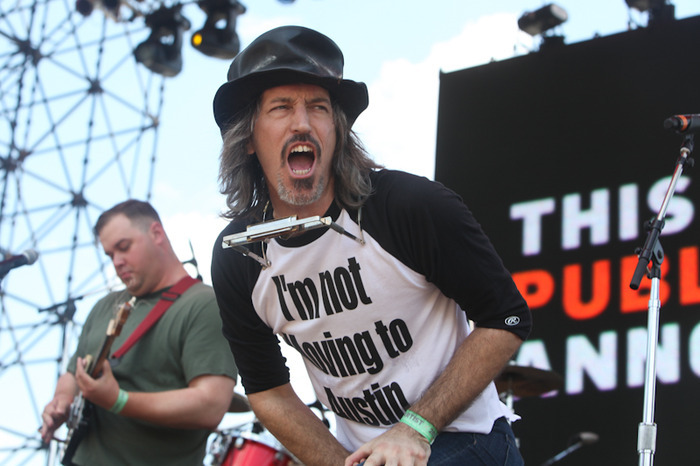 A BIG thanks to Tammy Dowe and Esperson Gallery for bringing the love to Austin. Stopped by the famed Sugar Hill Studio B for a great recording sesh with Jonathan Lee Chan and Tyson Sheth! Also snuck in a quick trip to NYC and finished February with a multi-night run playing the Houston Livestock and Rodeo Cookoff with Anacarina Acunya. 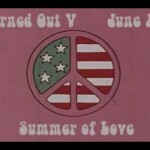 Great tunes and lots of BBQ! 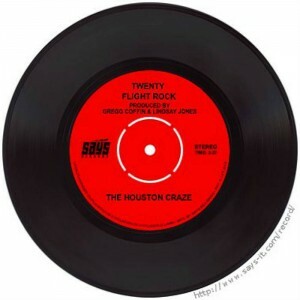 The Houston Craze, aka the Krays, have released our first single recorded at the Alley Theatre and free to enjoy! 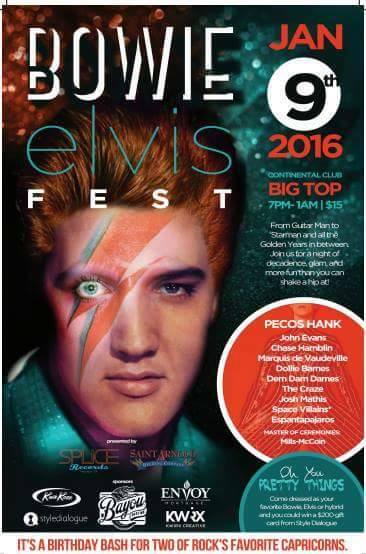 January 9th 2016 the Houston Craze plays DAVID BOWIE/ELVIS FEST! A must see show if there was one. In between mixing and tracking this month… a gig at the Houston Zoo. 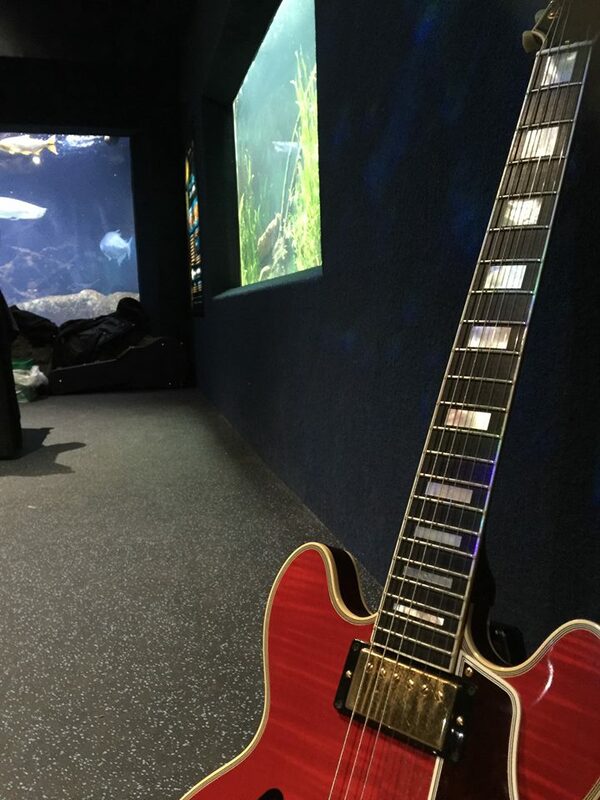 Guitar lighting up the Zoo Aquarium for Zoo Lights Nights. Reviews are in! 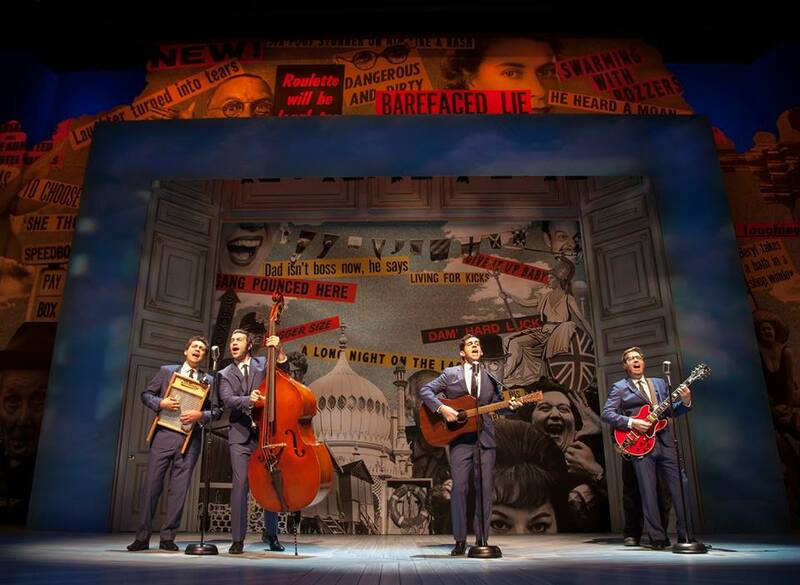 Broadway World raves over the show, including a nod to “flawless southern guitar licks“. 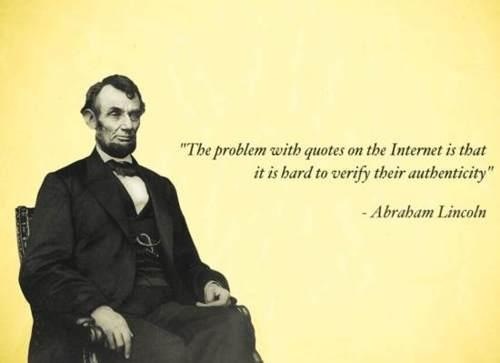 Awww shucks. 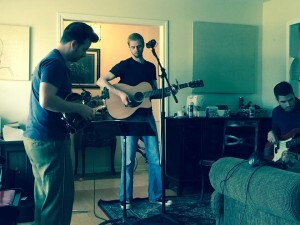 Houston swing trio Tin Floor also came by to track and mix a new record with some sweet and low down picking. 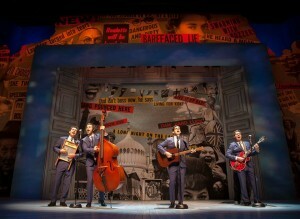 One Man, Two Guvnors opens October 7 and runs through November 1! 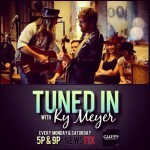 Check out the preview article in the Houston Press, and stay tuned for TV/Media appearances later in the month. We’ll be doing almost 40 performances throughout the run – come by! Tickets now on sale. 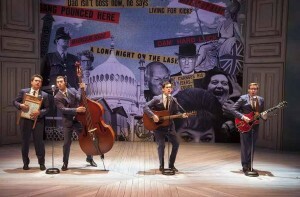 Super excited to announce I will be playing guitar in the Tony-winning Alley Theatre’s production of the Broadway/West End smash, One Man, Two Guvnors!! 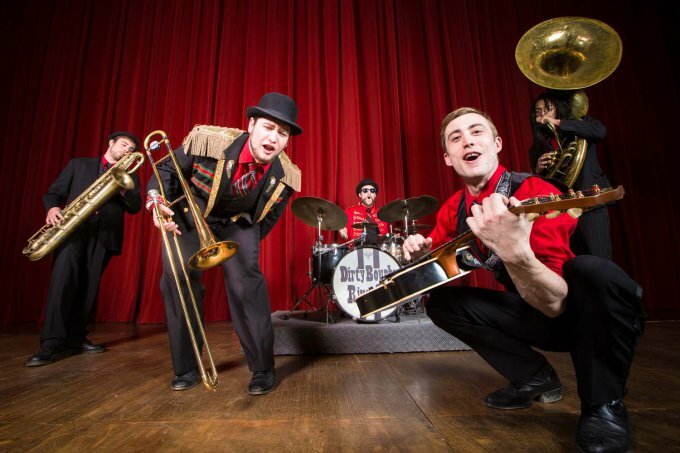 The play runs all of October through Nov. 1 and features a house band playing skiffle and vintage rock and roll. 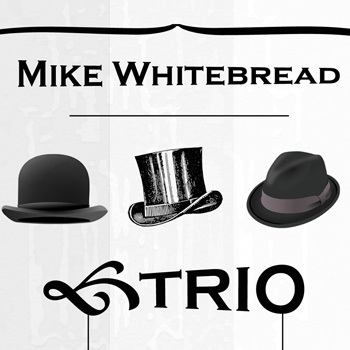 I’ll be on lead guitar and vocals with a quartet that backs the brilliantly talented cast under artistic director Gregory Boyd and Music Director Gregg Coffin. 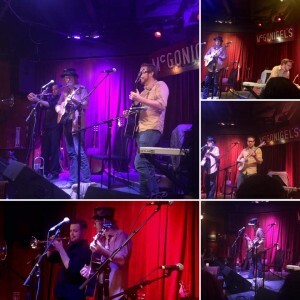 A VERY funny show with a sweet band. 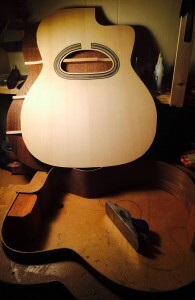 Thanks to guitar luthier Mike Viteri for his beautiful work on a new D-Hole Selmer style guitar. 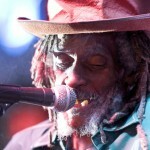 This guy is the real deal folks – brilliant craftsman and a killer guitar player too! 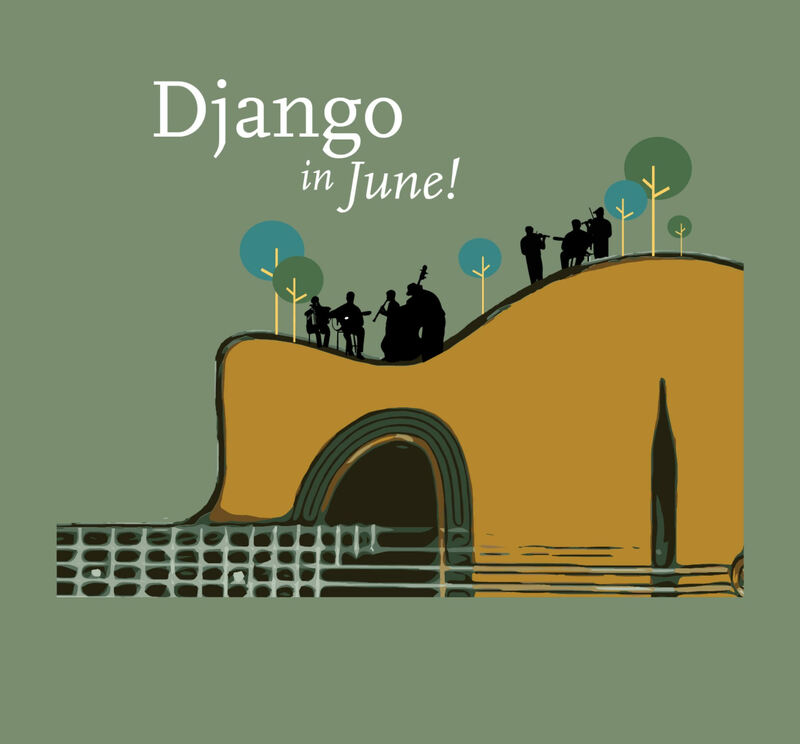 I’ll be traveling to the Django In June Festival in Northampton, MA at Smith College along with at least a few other Houstonians. 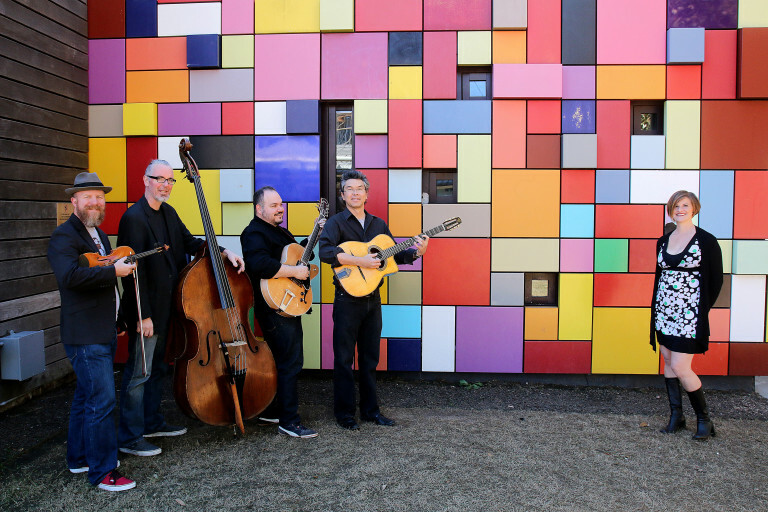 If you are in the area stop by and see if the Texans can keep up with some of the monstrously talented artists in this year’s lineup including Europe’s gypsy violin/guitar great Tcha Limberger, Paris’ RP Quartet, and Germany’s Joscho Stephan. Stopped in to the Treehouse Studio at Sugar Hill Studios with Grammy winning Steve Christensen to lay down a couple tracks/mixes for Craig Kinsey’s upcoming release. 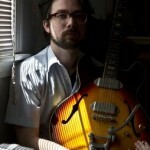 Guitar hero Kelly Doyle laid down a monstrous solo in this take. 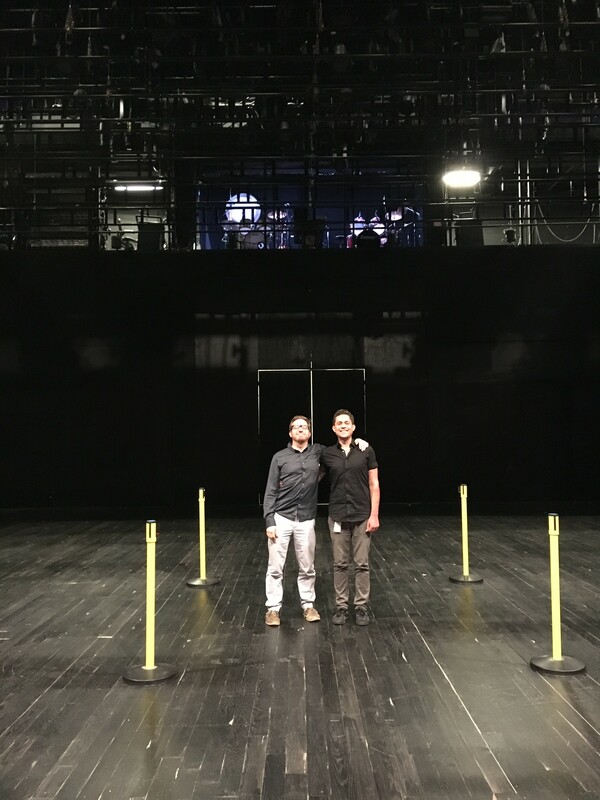 2015 is proving a busy year… Here’s a photo before the performance with the Orchestra of America/Indianapolis Symphony Orchestra joint concert in the Hilbert Circle Theatre. 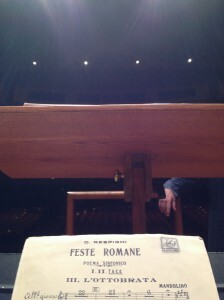 I played mandolin on Respighi’s Feste Romane, and as one Indy Orchestra member joked – “ahhh the mandolin, what would a symphony orchestra be without it!” Thanks also to conductor Franz Krager for his lively baton. 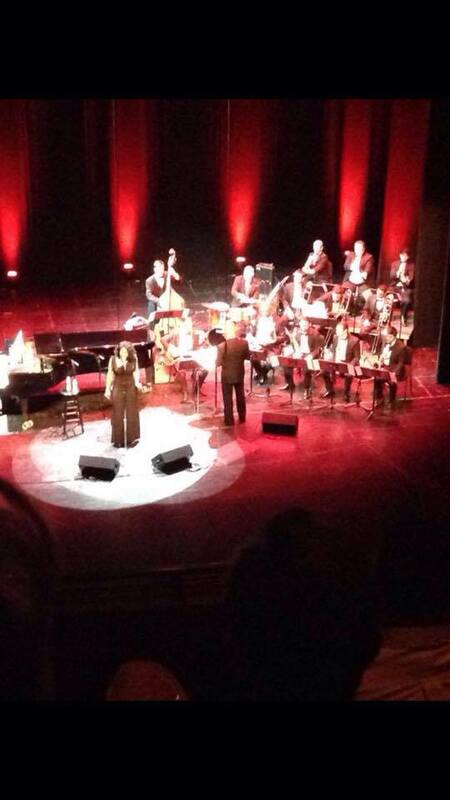 Last month also included a performance on guitar backing up Tony-winning opera and Broadway star Audra Macdonald with Noe Marmolejo’s MSM Jazz Orchestra. 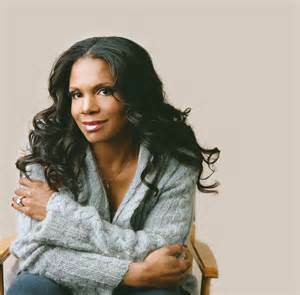 Audra is a brilliant performer with a brilliant voice! 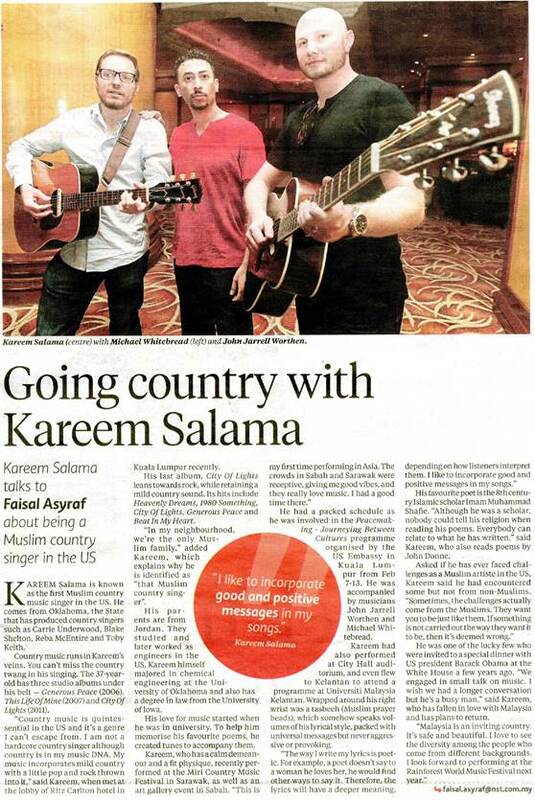 Thanks to everyone in Malaysia for a fantastic tour! 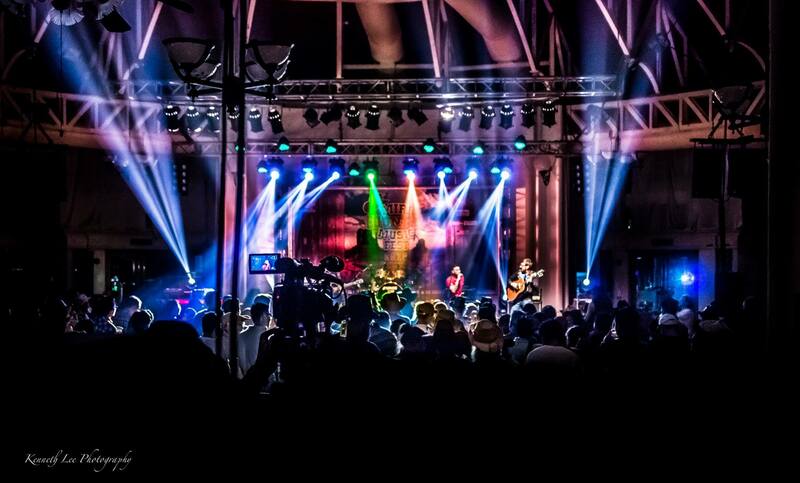 The Miri Country Music Festival was fantastic and we made some sweet friends including Europe’s Country Sisters, Malaysian jazz pianist Asif Pishori, Nation Geographic photographer Suchen SK, Indonesian singer Rani Tofani, and so many other amazing artists. Here’s a shot of the show with Kareem and JJ. 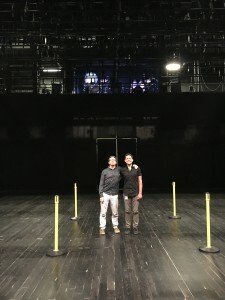 Pictures from the Malaysia tour added as they come in! 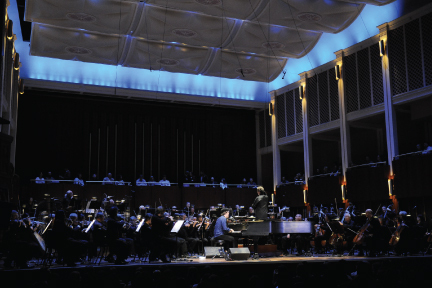 Also, in March 2015 I will join the Orchestra of America in a shared concert with the Indianapolis Symphony Orchestra at Indiana’s Hilbert Circle Theater performing mandolin, as well as performing with the University of Houston Symphony Orchestra at the end of February. 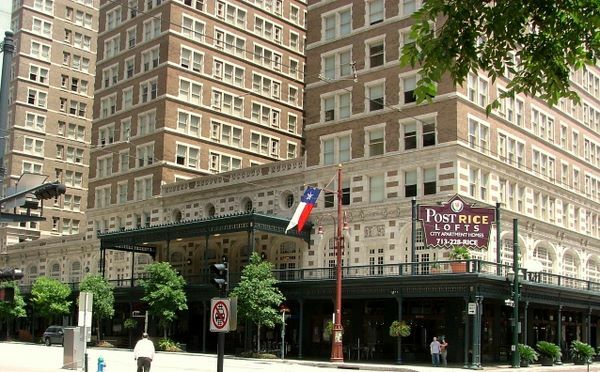 Performance dates added at the Houston City Club, as well as the historic Rice Hotel. 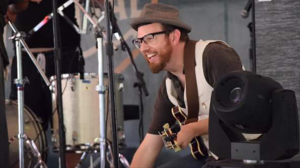 Additional appearances with guitar virtuoso Kelly Doyle in December and January. 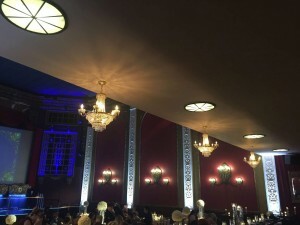 Next month brings a jazz retrospective concert at the Moores Opera House spanning America’s ‘Jazz Royalty’, Duke Ellington and the Count Basie Band, and featuring vocalist Tianna Hall! 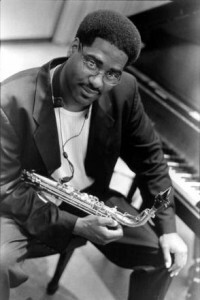 Just added with the UH Jazz Orchestra, a concert of the jazz modernists: Parker, Coltrane, Joe Henderson, and Michael Brecker.  Featured artists include Dr. Woody Witt and David Caceres. New Release! 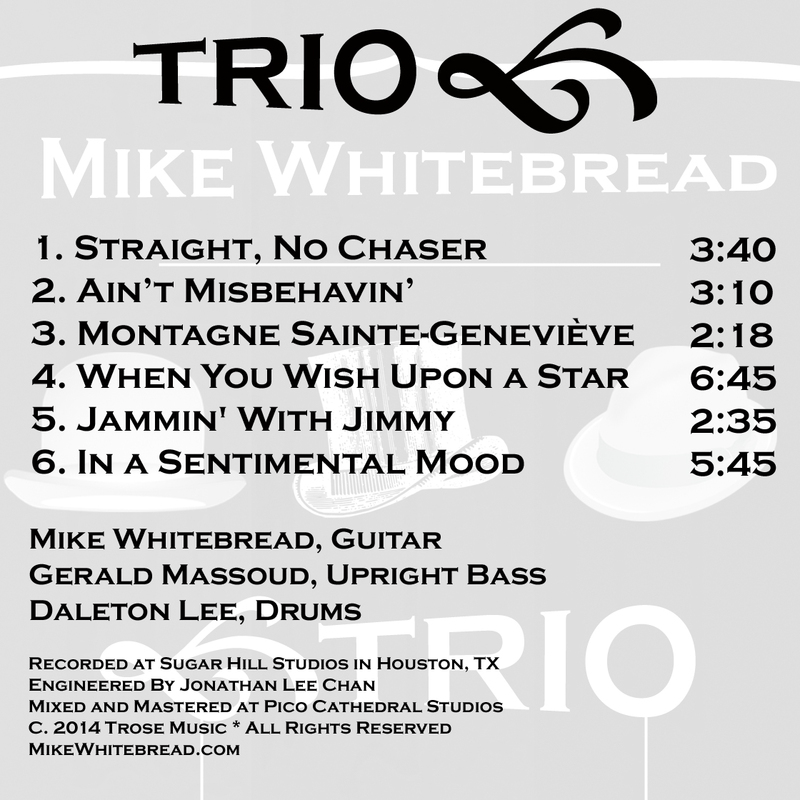 Trio releases worldwide August 1st 2014 featuring new arrangements of jazz standards and recorded at the oldest continually operating Recording Studio in America, Sugar Hill Studio’s famed Studio A. The session included beautifully generous playing by Daleton Lee on drums and Gerald Massoud on upright bass. 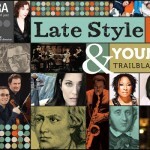 Available on iTunes, Amazon, and CD Baby. Update: it registered at #8 on the iTunes Jazz Charts for the day of August 9th 2014! 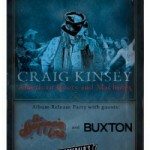 Craig Kinsey CD Release Party set for July 26th featuring New West Recording Artist Buxton (one of Esquire’s “Artists to Watch”) and Austin-based The Happen-Ins. 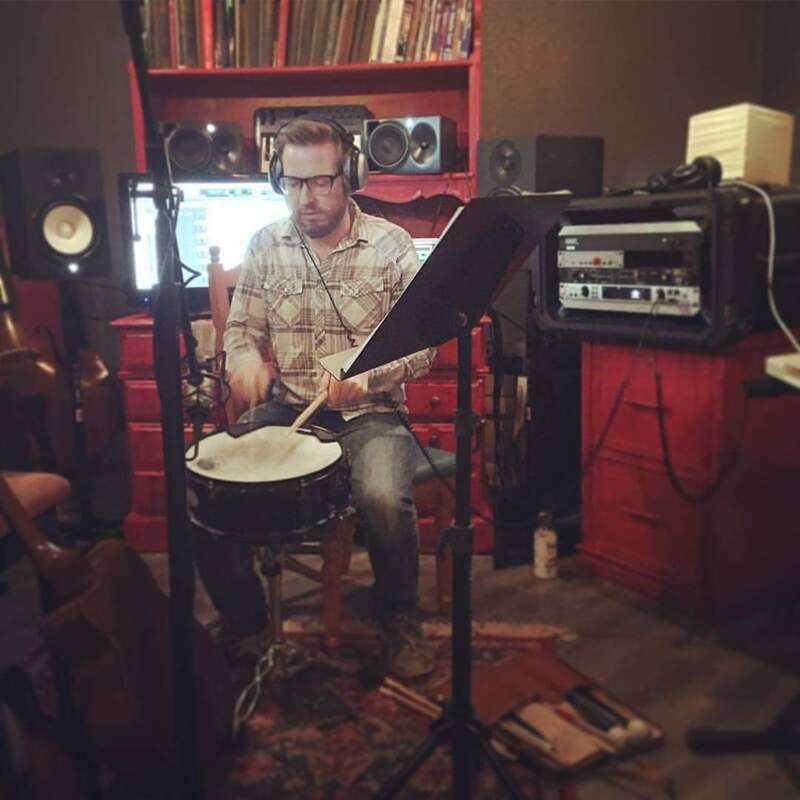 The record features a 14-minute epic poem about the Civil War with choirs, strings, drums and fifes, about 20 verses, and a stellar recording from Grammy-winning engineer Steve Christensen. I had the honor of producing and performing on the record, as well as composing a 19th century styled choral score in the Sacred Harp tradition of American Roots music. Can’t wait for everyone to hear it! Also, thanks to everyone who came to catch the live jazz shows from June with Kelly Doyle and Jo Bird from Two Star Symphony. 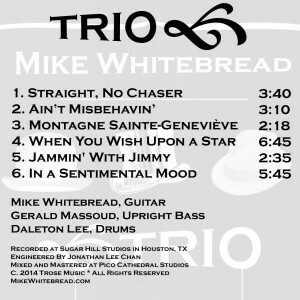 Pre-production work begins on a Trio recording featuring a new arrangement of the classic Monk tune, Straight No Chaser, as well as the classic When You Wish Upon a Star. Meanwhile, post-production has finished on Craig Kinsey’s record American Roots and Machines with a worldwide release date of July 26th. 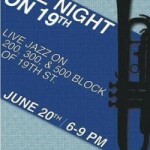 In the midst of recordings, this summer is winding up with a Jazz on 19th St show and other big nights in the works! 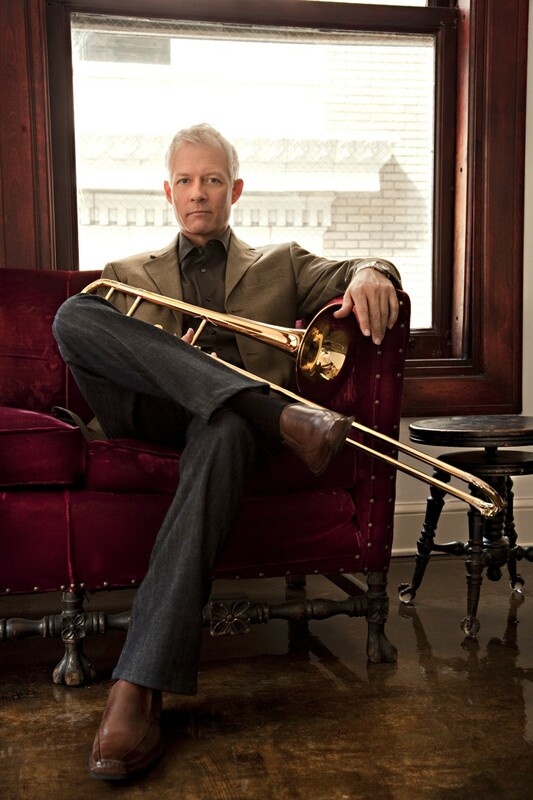 Also added: April 25th Katy Jazz Festival with trombone legend Andy Martin and the Univ Houston Jazz Orchestra, April 25th. 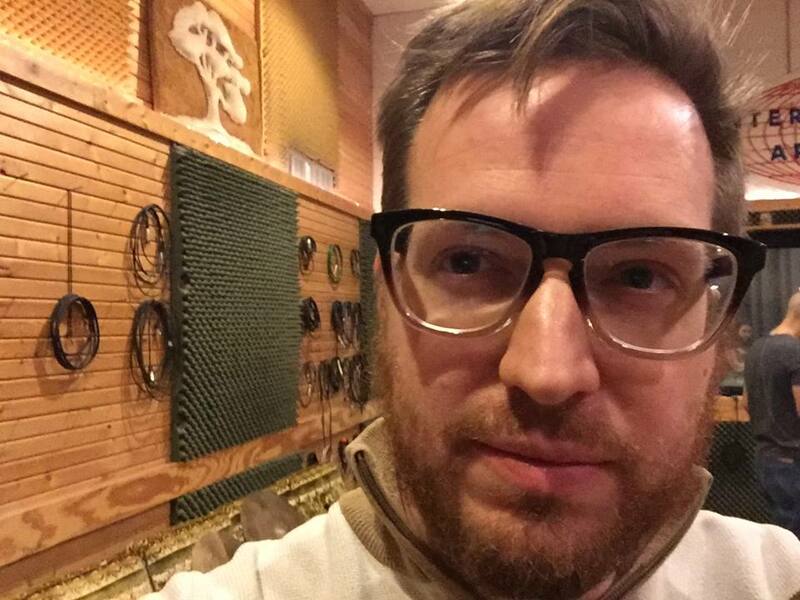 Andy has recorded on dozens of Hollywood blockbusters including the opening trombone solo on Monsters, Inc.
Festival Season is here. Check out upcoming dates! 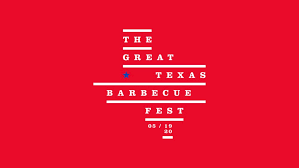 April 6th – Houston Barbeque Festival, Reliant Center. 1:30-3:30PM, Purple Lot. w/ Craig Kinsey. 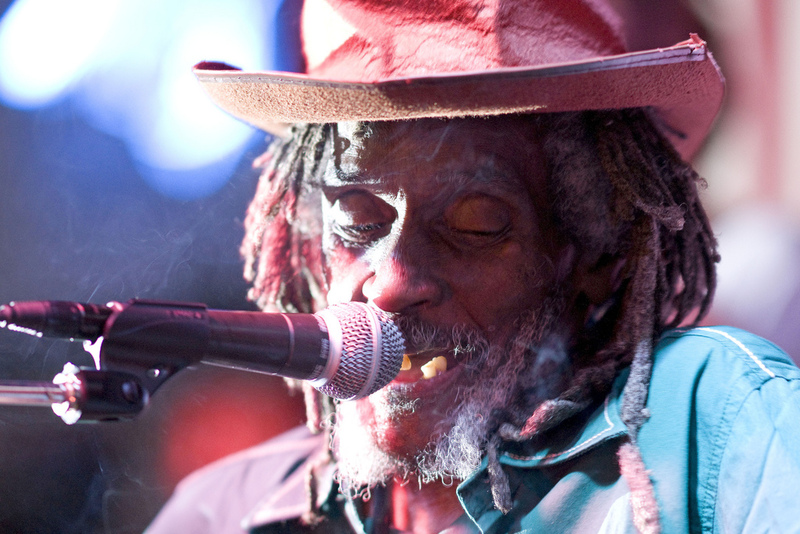 April 11th – Continental Club, with New Orleans’ Dirty Bourbon River Show and the last living 3rd Ward Blues Guitar Legend, Little Joe Washington. w/ Craig Kinsey. 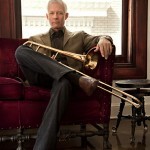 April 16th – Univ of Houston Jazz Orchestra performance of the Great American Songbook. 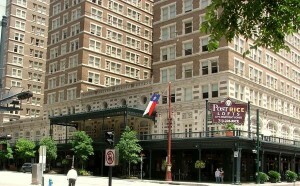 Moores Opera House. Narration by radio luminary Donna Mackenzie. 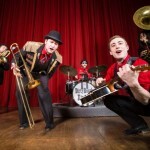 April 17th – Univ of Houston Jazz Orchestra and Da Camera of Houston Jazz at Discovery Green. 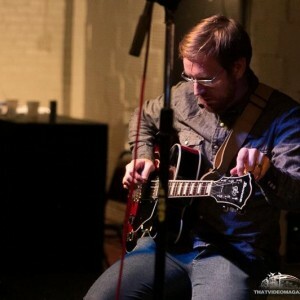 April 23rd & 30th – Boomtown Coffee, solo guitar 9-11am. Wednesdays in April. 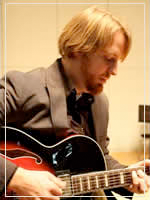 Performing on guitar with the UH Jazz Orchestra, featuring artist Brad Leali (Harry Connick Jr, Count Basie Band) on alto sax. Part of the Moores School of Music Jazz Festival starting Feb 27 and leading up to the concert Saturday night, March 1st 7:30 PM at the Moores Opera House. 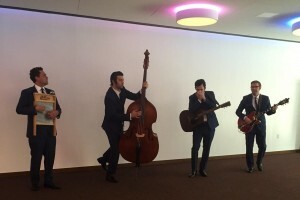 Performing with the Southern Backtones on upright bass for an Elvis’ Birthday/David Bowie mash-up including lots of Backtones tunes. 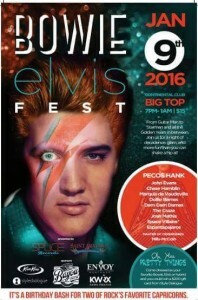 Come dressed as Elvis! Jan 4th in Beaumont, TX. Pecos Hank, vocalist and guitarist for the band, also chases storms as you might have seen on National Geographic and the Weather Channel! 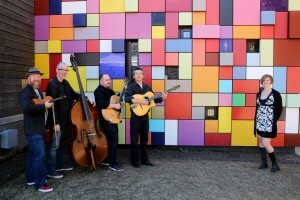 Gypsy Jazz Mornings return to Boomtown Coffee now on Wednesdays. Who knows who might drop in? Thanks to Kelly Doyle, Robert Ellis, Craig Kinsey, Will Van Horn, and Alicia Gianni for all stopping by last month! 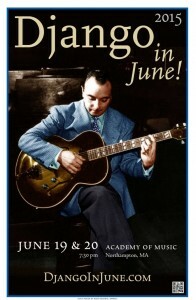 Announcing Gypsy Jazz Tuesdays 9AM-11:00AM with the illustriously talented Kelly Doyle at Boomtown Coffee. 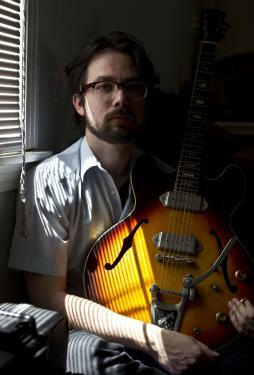 Kelly leaves to tour with Robert Ellis in February (read about them in Rolling Stone Magazine and The Guardian). We’ll be launching through coffee-fueled deep-cut gypsy jazz tunes along with the usual standards. Pictures in from a last minute commercial video shoot! 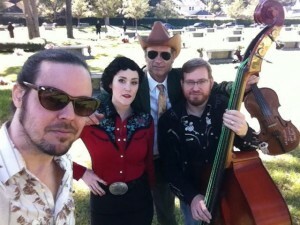 Played some bluegrass for the camera with Pecos Hank, Johnny Falstaff, and Lauren Charmain Wood. A bevy of interesting shows. Come to them all. 10.08.2013 Performing with the University of Houston Jazz Orchestra in a night of movie music. 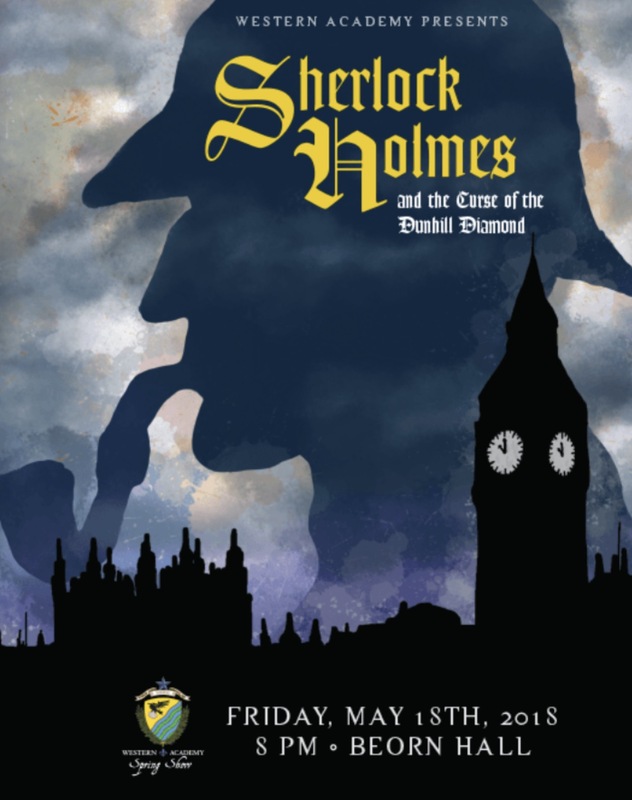 I’ll be rockin the archtop guitar and also hittin the banjo on a 1940′s Parisian arrangement of the music from Sherlock Holmes. 7:30PM. 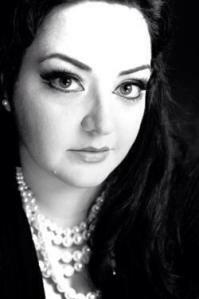 10.13.2013 Jazz Duo with the soaring and sultry soprano Alicia Gianni in Kingwood, TX. 11am-2pm at the stately King’s Harbor. 10.22.2013 Combo Concert directed by UH’s Ryan Gabbart. Details TBA. Had a fantastic recording sesh with Dan Workman and Alicia Gianni at ‘the bubble.’ Embarked on a grand experiment with multitracked triple iPhone recording. Dan worked some mix mojo and it’s haunting – going for the ‘look at this dusty record I found in the attic’ vibe. 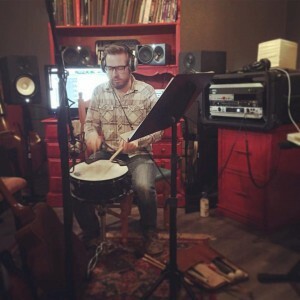 I tracked snare, banjo, and musical saw. 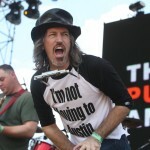 I’ll be playing the Viva Big Bend Festival with Craig Kinsey. 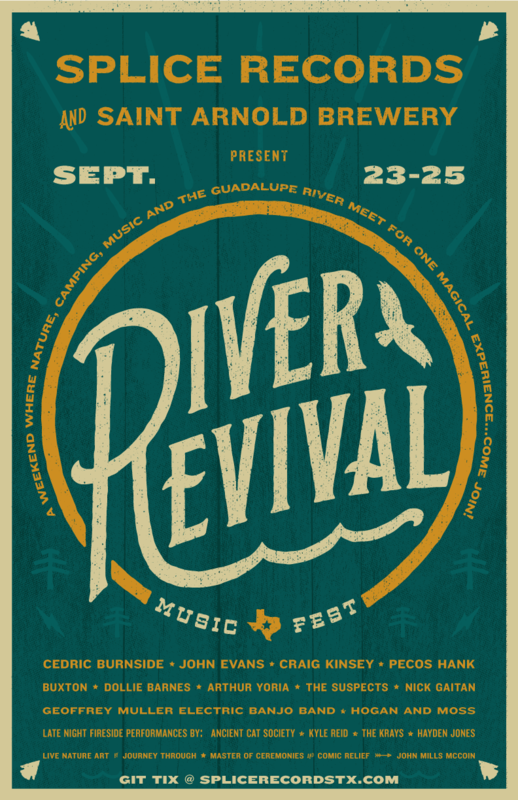 Kind of (understatement) excited that Camper Van Beethoven is also on the bill as well as about 20 other killer acts! More mixing with Steve Christensen for Craig Kinsey. Here’s a snap Craig took with Steve’s muse, his cat. 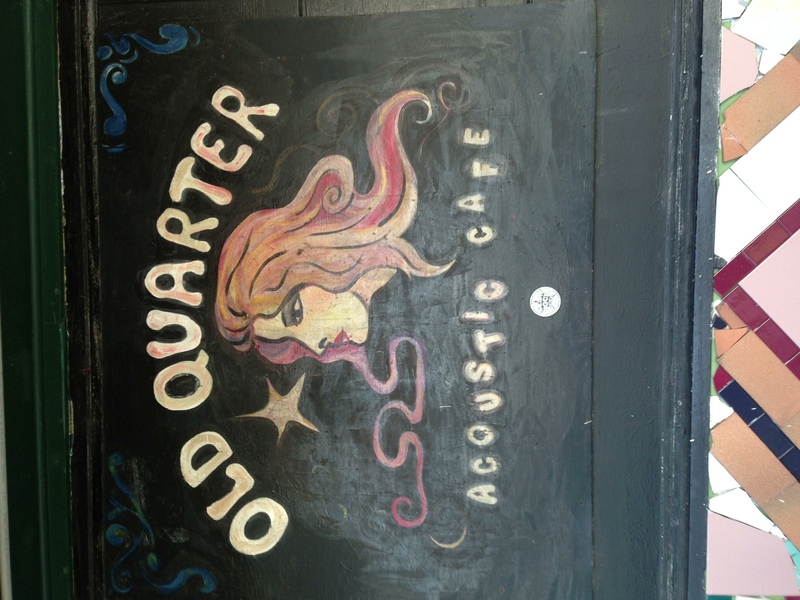 06.14.2013 Playing the Old Quarter Cafe in Galveston, TX with Charles Bryant. This is their door, if looked at with your head tilted to the side. 06.15.2013 Burned Out Festival at Fitz Live. 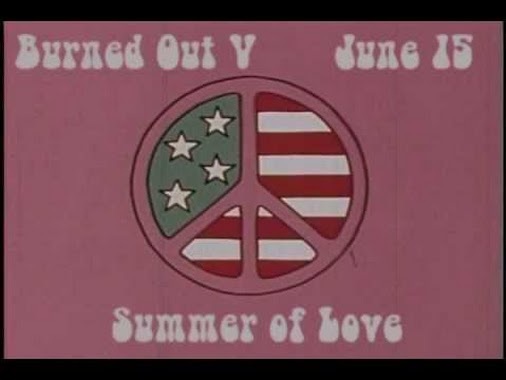 Playing very popular songs everyone is burned out on, arranged for your fav H-Town bands. 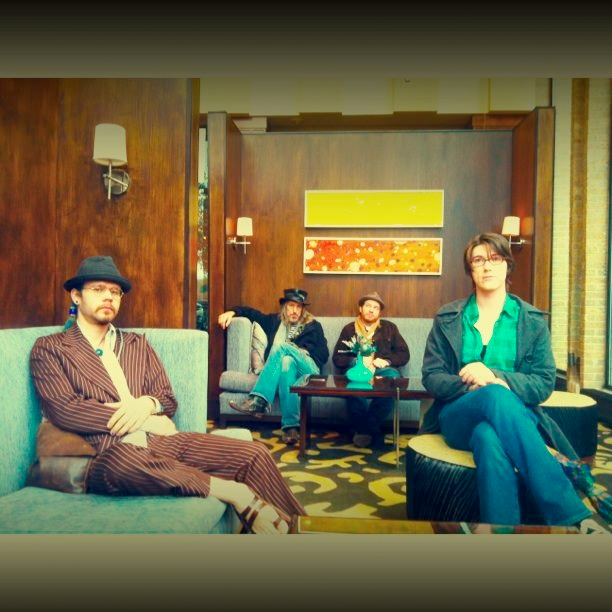 I did a little engineering and mixing for Craig’s new album with the outstanding Gospel Trio, Soul Fruit. 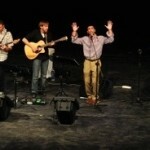 Very cool group, fantastic people, and man can they sing! Tracked through the UA Apollo on a tasty Ribbon Mic. 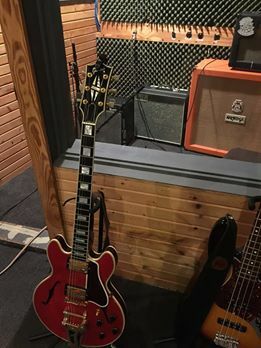 Lovely, lovely sound. Finally, I’ll be attending the Grammy FutureNow Conference in Austin 06.29.2013. Hope to see some folks there – I’ll post pictures as they come! 04.13.2013 Playing with long time conspirator Craig Kinsey alongside the infamous John Evans Band and sultry songstress Emily Bell. 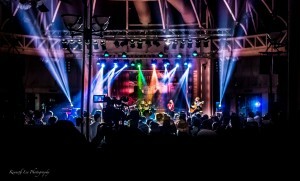 at Fitz Live. With the Kickstarter a resounding success, we went back into the studio with Steve Christensen mixing the new record. Lots of work to do on Craig’s 14 minute epic ballad about the Civil War. A marvelous song, very moving! New Album Out! Just completed and released, available now for free listen and download at Bandcamp, and on iTunes and Amazon on March 28 2013. 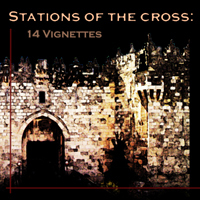 A dark and stormy musical musing based on the 14 Stations of the Cross. 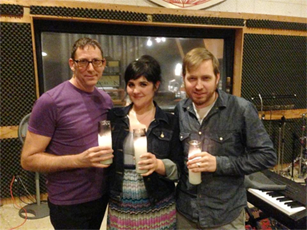 Tracking and mixing with Alicia Gianni and Dan Workman at Sugar Hill Studios for Alicia’s upcoming 2013 release. 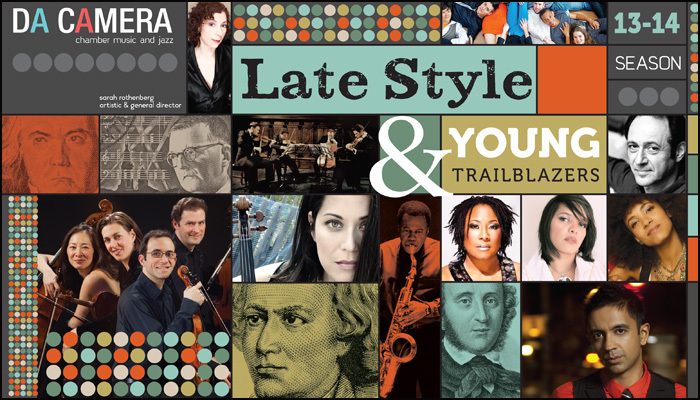 Sultry swing with some notes from the underground! We started last year, and this EP has grown into a full release. Dan, Alicia, and I are all producing and playing on the tunes. Here’s a shot of us in musical meditation. Mostly. 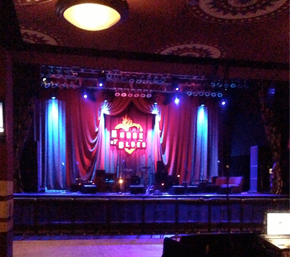 Just finished a short tour with Craig Kinsey opening for Hays Carll and Corb Lund at the House of Blues in Houston and Dallas, TX. The Dallas New Years show dropped 1000′s of balloons on us as all the bands played together on Will the Circle be Unbroken. Mixing Craig Kinsey’s new album this month, American Roots and Blood. 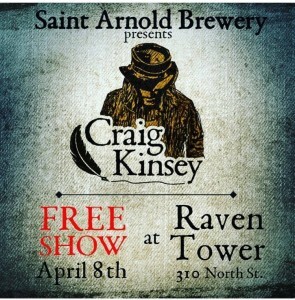 I’ll be producing and playing on the record that Craig wrote. 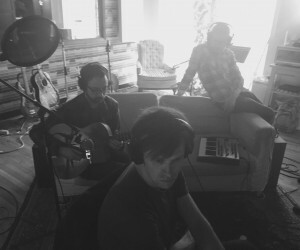 We’re recording with Steve Christensen, as he is still hot off the heels of his win recording Steve Earle. 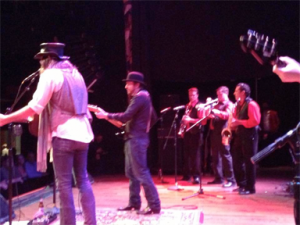 Haunting turn of the century folk meets gypsy punk rock. Here’s a snap of the new band. I am now open for music lessons as a faculty member of the University of St. Thomas Music Preparatory School. I’ll be teaching private guitar and stringed instrument lessons as well as leading the inaugural summer guitar camp at the University. All Rights Reserved. © MikeWhitebread.com. 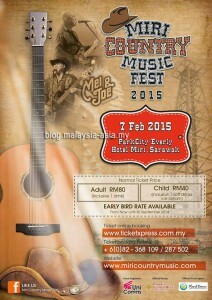 Support Local Music.